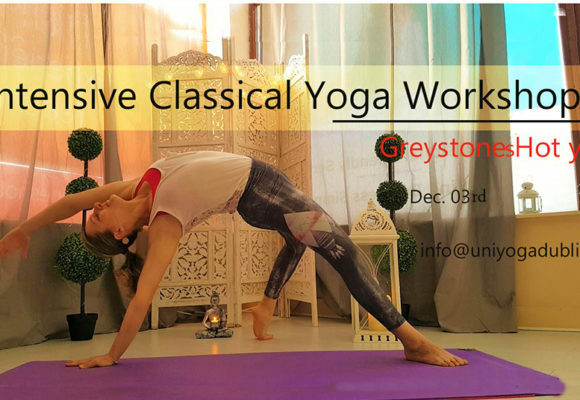 This workshop is designed for you that are new to Yoga but also we highly recommended it for anyone who wishes to fine-tune their practice and get more out of their regular classes. We will guide you through the basics postures ( ásanas) so you can develop a better understanding of the poses, the correct and safe alignments, the techniques involved to move from one ásanas to another and of your own postural habits. Learn about common mistakes and how to avoid them so you can build a stronger, more flexible body right from the start. We go slow so that you can learn and implement the tools to safely develop your yoga practice and grow in confidence that you are doing the postures correctly. You’ll learn how to modify postures to better suit you and your body. You’ll learn how to breathe correctly and how to match the breath to your movement to create more fluidity and reduce tension. There will be time to ask any questions you may have and receive individual feedback on your practice.